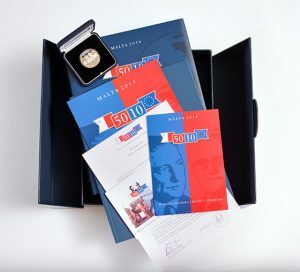 Malta has been a crossroads and a haven for as long as man has travelled across the Mediterranean Sea,and all those who have come this way have left their mark. An island nation with a history dating back to 3600 BC, this archipelago lies between the coast of Tunisia and the southernmost tip of Sicily, and gives testament to the region’s intricate maritime histories. When faced with the question – who are the Maltese? – it is tempting to provide an abbreviated timeline across centuries and civilisations, hoping to open a window onto Maltese identity: the Temple Period; the Bronze Age; the Phoenicians; the Greeks; the Carthaginians; the Romans; the Arabs; the Normans; the Spanish; the many-langued Knights of the Order of Saint John; the French, the British and independence in 1964. Open any guide book and it will attempt to précis Malta’s history in this manner, before providing all the necessary information on where to stay, where to visit, where to be entertained and how to get there. It might be more telling, however, to point out that contemporary Malta, is at once both outward looking, yet steadfastly resilient. It is a nation that looks fiercely to its past and clings to its cultural pillars, whilst seeking modernity, architectural reinvention, social liberation and rapid economic growth. It is a heady cocktail of tradition, politics, religion and the dream of a comfortable home, all under a bright sun. Uncommon is a companion and travelogue that provides multiple avenues to unravel some of the complexities that may overwhelm and disorient the unfamiliar, and to reveal the many layers that make up the public and private spheres. There are four sections in the book : Relate, Review, Recreate and Reroute each providing a way to connect with the inhabitants, the streets, the buildings and quotidian life. Uncommon is made up of subjective explorations of the country’s history, diversity and lore. In it you will find contemporary reportage, travel writing and historical anecdote, curiosa and customs revealed and reinterpreted, memory maps, off-beat routes, itineraries and aimless meanderings taken in the spirit of Guy Debord’s dérivé. 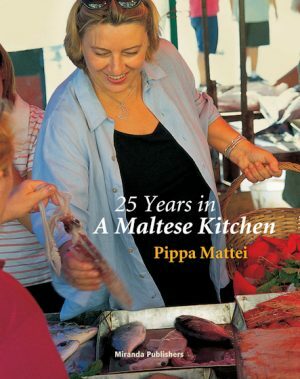 The stories and suggestions are provided by a wide-ranging group of contributors: Maltese living here and abroad, expatriates who are resident and visitors, both frequent and novel. Uncommon is the field manual for the contemporary explorer; the authors invite you to engage with the islands in a novel and intimate way, and hope you will mark your impression just as many have done before. Uncommon celebrates the ‘habit of flux’, urging you to lose your way in order to stumble across the roads less travelled in Malta & Gozo. 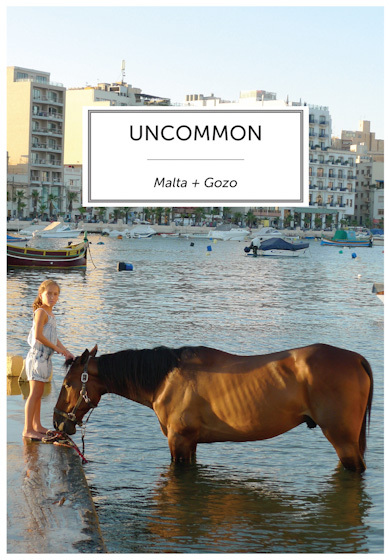 Edited by Maltese journalist Emma Mattei and designed by resident British artist Jon Banthorpe, UNCOMMON has brought together a chorus of voices that delve into our common identity with insight, passion and humour.